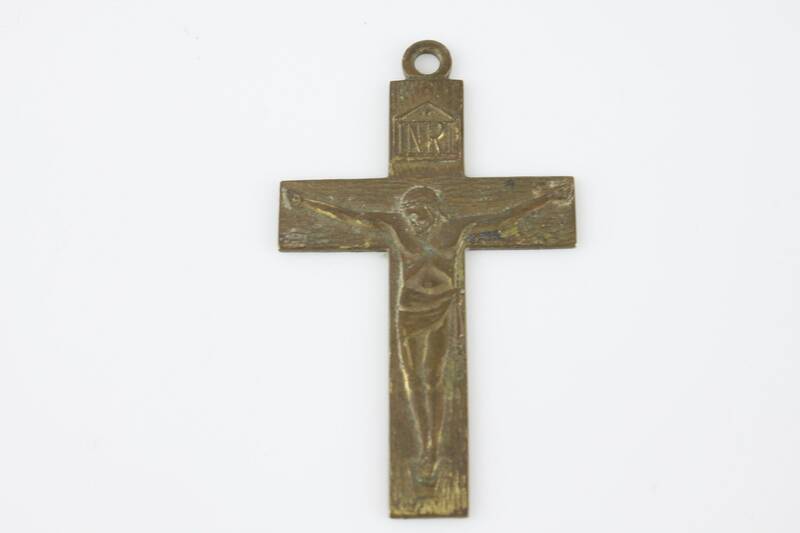 This handsome cross has all the character and simplicity you could want! 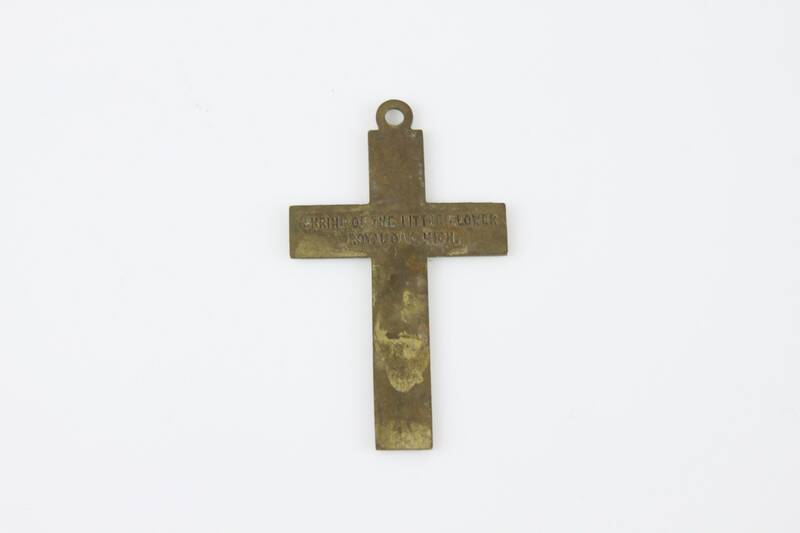 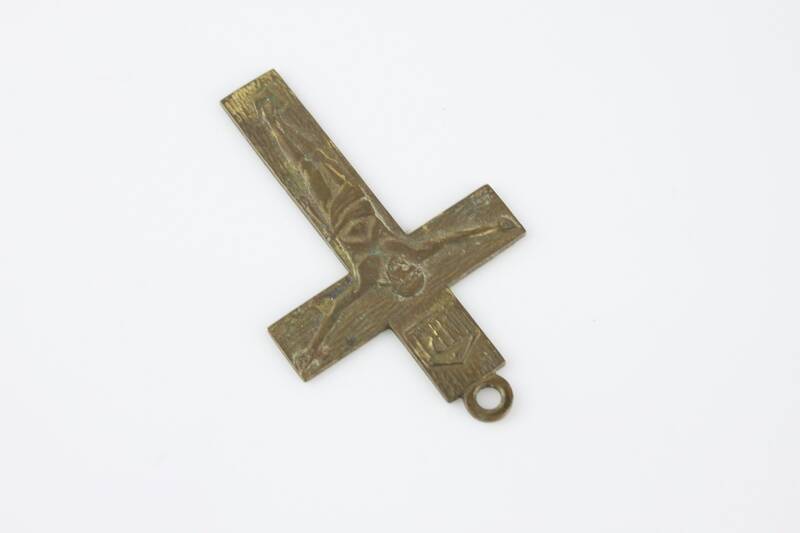 Produced for the Shrine of the Little Flower, Royal Oak High School in Michigan - this crucifix features a pressed relief of Jesus, scroll on the face side - along with a wood grain texture to the cross. 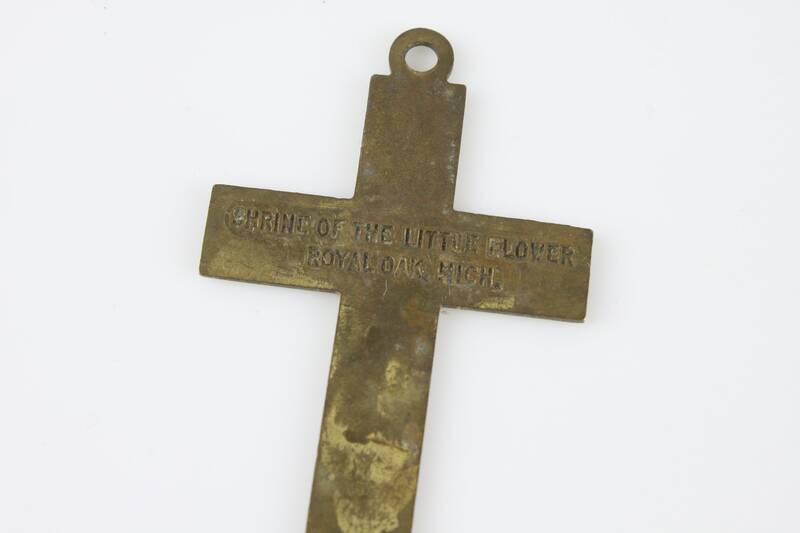 On the back side is a punched inscription of "Shrine of the Little Flower, Royal Oak High". 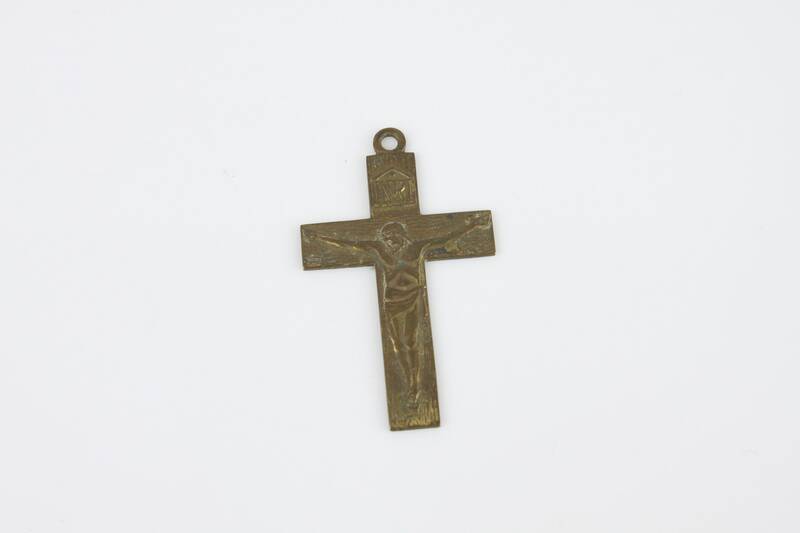 This crucifix has a "stocky" construction that is typical of Christian art during the mid 20th century. 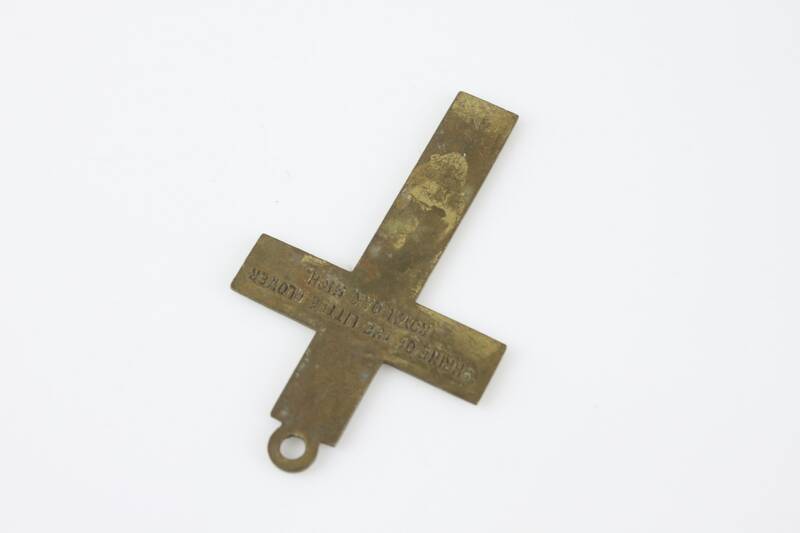 The piece proudly displays all the unique marks of a "well worn" and treasured item!